Soak the oats for 15 to 20 minutes in about 1.5 cup of water. Now grind the soaked oats along with the water to form a fine paste. Mix together the oats paste, rice flour and salt. Set aside. In a small vessel, heat oil. Add mustard seeds, hing and curry leaves. Once the seeds start to crackle, add this tempering to the flour mixture. Add the Eno fruit salt. This makes the dosas fluffy and soft. Prepare the doa on a non-stick pan. 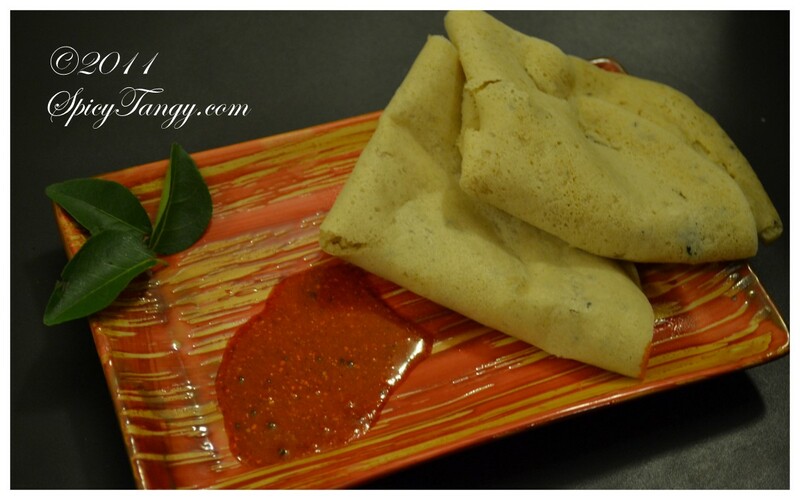 See the steamed dosa recipe for a step-by-step guide on making dosa on a pan. Serve hot with pickle or chutney-podi.